The new king range is the largest evolution in the horizontal trailed T.M.R. 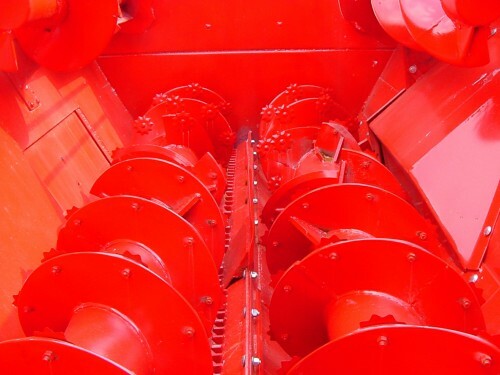 feed-mixer field able to best meet the needs of any sized farm. 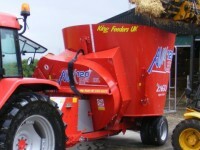 King’s advanced technology makes it one of a kind from the work quality, reliability and safety standpoints, ensuring excellent Unifeed/TMR ration preparation and fully exploiting the advantages due to this technique. It can cut and mix whole bales, forage, straw, bundles, wet products and any other type of ingredient needed to prepare the ration, even with partial loads. It guarantees a perfectly homogeneous mix in half the time with power absorption 40% lower than traditional systems. Available in the NT, WT and WL versions. 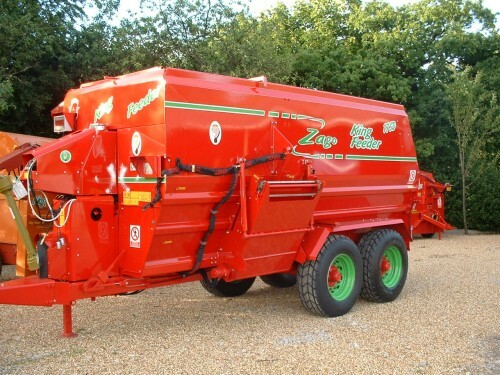 NT series - The 2+2 horizontal auger KING TMR feed-mixer is characterised by the Zago patented FREE FLOW MIX system. WL series - The WL series comes with a rear loader that facilitates loading. WT series - The WT series is equipped with a milling device able to quickly cut all the ingredients required for the ration, creating a smooth and compact milled surface to prevent fermentation and the formation of mould, harmful to the animal’s rumen. The King model, in the NT, WL, and WT versions, range from 7 to 30 cubic metres. Features of the King Feeder- 4 auger machine.